The remote therapeutic manipulation of an invisible, intracranial target, monitored with real-time imaging, has long been a dream shared by generations of neurosurgeons. Several attempts toward this goal undertaken by neurosurgeons in the past were limited by the technical constraints of neuroimaging. 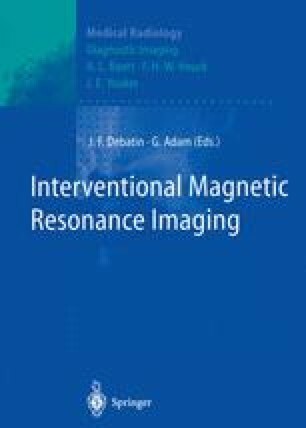 The recent advent of open-configuration MRI systems seems to permit the implementation of strategies to overcome these limitations. The dream of remote therapeutic manipulation of intracranial lesions under real-time image guidance has come close to its realization.